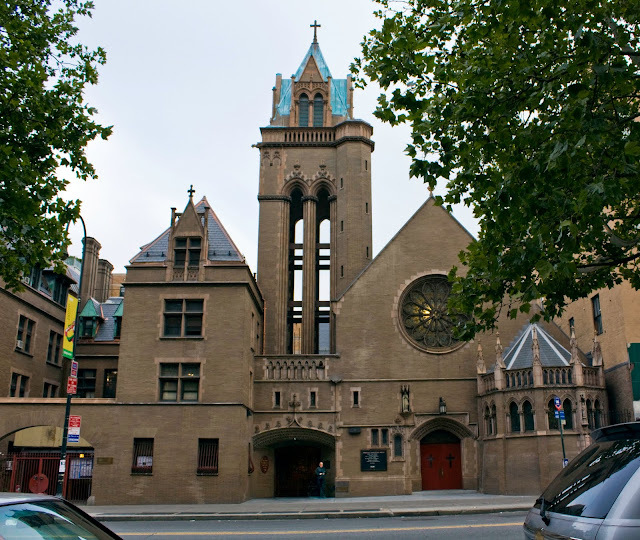 This church began life in 1896 as Grace Chapel and Hospital, an Episcopal mission for Grace Church in the West Village. In 1943,it became the Immaculate Conception Church, a Catholic church. Do you know what Immaculate Conception refers to? Wrong! It's not the Virgin birth. It's that Mary was born without original sin. If anyone desires to see a baptism in this very church, you can find one right here.